This recent massive egg recall stemming from one farm in Iowa reminds me of the benefits of buying from small, local farms where you can know the farmer. The particular farm in Iowa seems to be on everyone's watch list--it has been labeled a "repeat offender". They have had complaints about waste and pollution, complaints about health and safety, complaints about worker treatment and hiring illegal aliens, complaints about animal welfare, and I am sure the list goes on. And they have just paid the fines and kept on going not worrying about the consequences of doing so to anything else but their own bottom line. 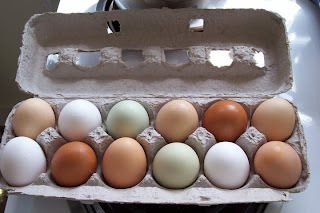 I buy my eggs from the co-op or from the farmers market so I know what I am getting. 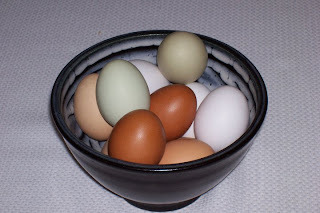 I get some really pretty eggs with golden yolks and I have spoken with the farmers who raised the chickens in sustainable ways where the chicken gets to live a fairly reasonable chicken life before the eggs are laid and I get them home. I pay a lot more for them. Often more than 50 cents a piece. But they are worth it. Not only are the eggs better, but I prefer to pay my costs up front. Fewer externalities here. This situation also reminds me that the FDA needs some teeth. Part of the reason they are ineffective is that they don't have the authority to do what they need to protect Americans from food borne illness. They need more inspectors and the authority to initiate and enforce mandatory recalls. And then we need a new farm bill that reduces the attractiveness of the option to have the kinds of factory farms and monocultures that these eggs came from and from which the vast majority of modern food borne illness outbreaks originate. We need a new food culture in America. We need one that cares about the food in a myriad of ways from personal health to health of the plants and animals that make up our food to the health of the planet and the health of our communities. I have been reading MFK Fisher's wonderful collection The Art of Eating lately and came across this: "In America we eat, collectively, with a glum urge for food to fill us. ... We are as a nation taste-blind." She said this decades ago, but it still rings true. Most Americans eat to feed a biological need, not to savor the flavors possible. We need to act to make her remark false--learn about the Farm Bill at www.usda.gov and the FDA at www.fda.gov. Maybe write a letter, maybe talk to someone else you know. Maybe choose a little differently the next time you are buying something to eat. At the very least, at least for right now, know where your eggs are from. I have been working the last few weeks on a presentation about food security. The main thrust of it is supposed to be about how most Americans live in communities that are food insecure independent of the fact that so many Americans are themselves food insecure. “Food Insecurity” is a term used to talk about a person’s ability to provide healthy nutritious food for him or herself. 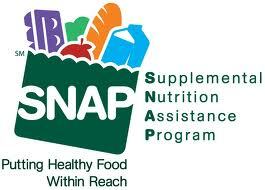 The USDA says that a person is food insecure if he or she does not have reliable access to 21 healthy meals a week. A community is said to be food insecure if there isn’t enough food in that community for the same. By that measure, most American communities are food insecure since most rely on food being trucked in every few days. Most communities would be without food in three or four days without those trucks. We saw some of that after Hurricane Katrina—there was no way to get food in after the wake of the natural disaster. And during the winter of 2008-2009 in the Spokane area there were some shortages of particular items in grocery stores because the passes to and from the west side were closed and the trains were not running reliably either. But food security is taking another blow in America. This morning the Huffington Post ran a story about proposed cuts to the Food Stamp Program which would decrease the amount of the benefit so many people rely on in the face of food insecurity. This is a real problem. As it is, the Food Stamp Program has always been intended to supplement what people spend on food, but for many people, it is all they can spend on food given other bills, often medical in nature. An investment in nutrition is multi-fold and the government needs to understand that. Malnutrition in children can lead to permanent problems since lack of nutrition at various developmental stages cannot be overcome later. And an investment in nutrition, if done correctly, can also benefit farmers as it keeps people buying. Now, you might say, many people who are on Food Stamps don’t buy the healthiest food. And that is true. 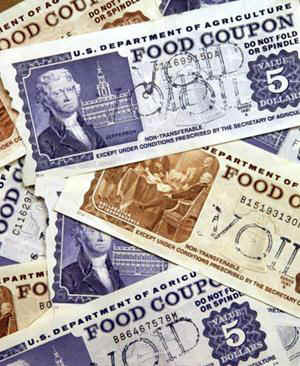 That might speak to some reforms of the Food Stamp Program, but not to an elimination of some of its funding. Two main reasons people buy unhealthy food are that unhealthy food represents the most calories per dollar spent—healthy food just costs more—and people don’t have the knowledge or the time to cook for themselves. So maybe this speaks to putting more money, not less, into Food Stamps and giving people the knowledge about how to cook what they buy. It speaks also to making sure that farmers markets have the ability to take Food Stamps so they get some of that money to stay in the local community and to help and other demographic that needs support and that people who get this assistance have access to fresh, healthy food. Recently at a meeting of local food activists we were lamenting that a lot of people just don’t know how to cook for themselves any more. I used an example my Father talks about in the running of his church’s food pantry—people will happily take jarred spaghetti sauce for pasta, but won’t take canned crushed tomatoes for sauce. Maybe they don’t have the money for the spices that would make it into sauce, maybe they are relying on their children to be able to make the dinner for themselves, and maybe they don’t know how to make sauce in the first place. But some of these things are remediable. Teaching people about how to eat healthy, how to best use the benefits they get, and to make sure that the benefit they receive is really adequate is something we all have to be concerned about in order to have a healthy and strong community. If I eat ethically I help a little. If I push to get others to eat ethically I help more. If I work within my community to try to make ethical eating available to all I help even more. If I work to make sure that the country’s policies and programs are designed with ethical eating in mind I have done my job. The next thing I write today will be letters to my congressional representative and my senators. Think about doing the same. I am not entirely sure what possessed me to google "cooking contests" today. I guess I was a little bit bored. But I did find some interesting sites that listed lots and lots of cooking and recipe contests of various kinds. Many were sponsored by some food company. 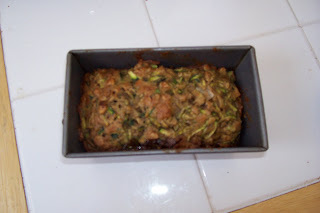 I was surprised, however, to find a contest devoted to using zucchini in something other than bread. 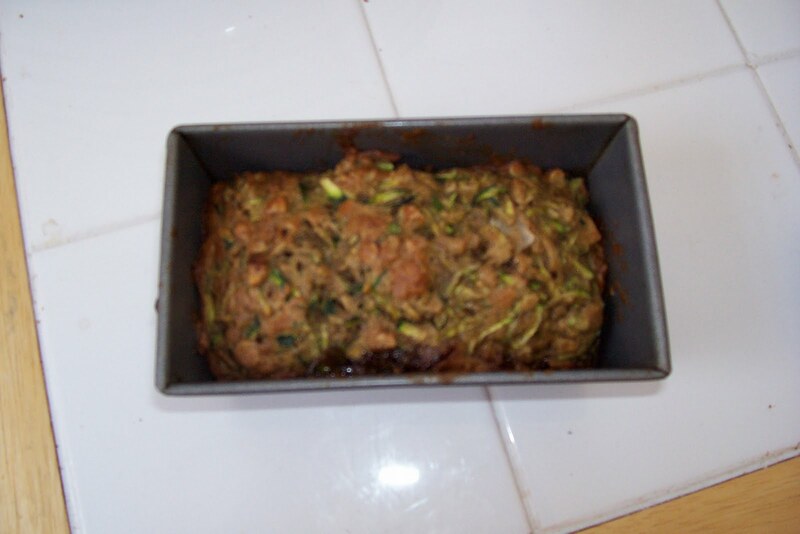 People who grow zucchini do need things to do with it as I mentioned in my earlier post about zucchini bread. 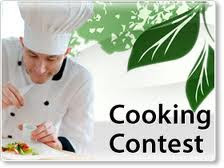 That site also featured a contest for using fresh herbs and one for cookies. The basic idea of that site was about contests for recipes using natural ingredients. There was another sponsored by an organic brand of salad greens, even. But there was also a contest for "good food products" and in describing what they meant they talked about products that were made sustainably. These are called "the Good Food Awards." This is something I find encouraging. Normally when I think cooking contest I think of the good old-fashioned Pillsbury Bake-Off, which is still a main stay of cooking contests. More and more Americans are likely also thinking of shows like Top Chef and Food Network's Next Cooking Star as cooking contests. But there are still county fairs and chili cook-offs. And they do provide an outlet for people to actually cook which I think is a good thing. Now, granted, some that are sponsored by a food company encourage using weird processed food ingredients (like the one that requires you to use Cheez-Whiz, I kid you not) and some of the winning recipes sound downright dreadful to me. Some are more about saving money or cooking quickly. But they are all, after all, about cooking. The more people cook, the more I expect that they will search out quality ingredients and start thinking about how those ingredients get to them. this is how we work to change, ever so slowly, the way people eat and they way they appreciate food. This is part of being a responsible eater--knowing how to prepare food for one's self and others. We have to be willing to know a food's history and cooking is part of that. 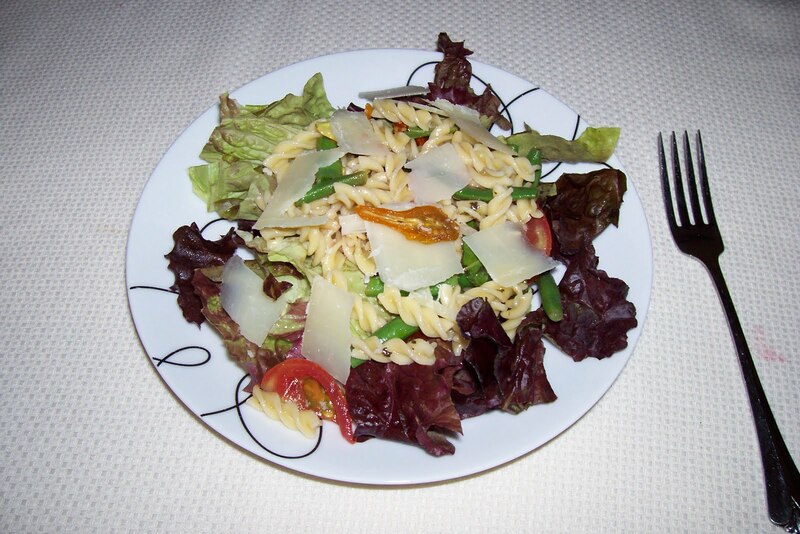 So far I haven't found entered any contests, but there is one for recipes made with mushrooms and I do have a killer pasta sauce made with mushrooms as the main ingredient, but on this hot evening it is hard to think about pasta sauce. The more of us who can cook for ourselves (and I mean more than reheat) is a good thing. Watching cooking shows on television should be inspiration not just entertainment. I think I am starting to be inspired to enter that cooking contest after all. I really like quick breads. They are so adaptable to so many varieties. 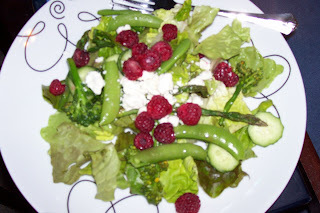 And they are a great way to use frozen veggies prepared in the summer, but used in the fall, winter or spring. Just grate up some carrots or zucchini in the right measurements and pull them out, thaw and use in the off-seasons. It's also a great way to eat veggies when you might not otherwise feel like it. Sometimes, however, the recipes for quick breads have too much sugar for me. I have therefore gotten really good at that adaptability feature I mentioned above. 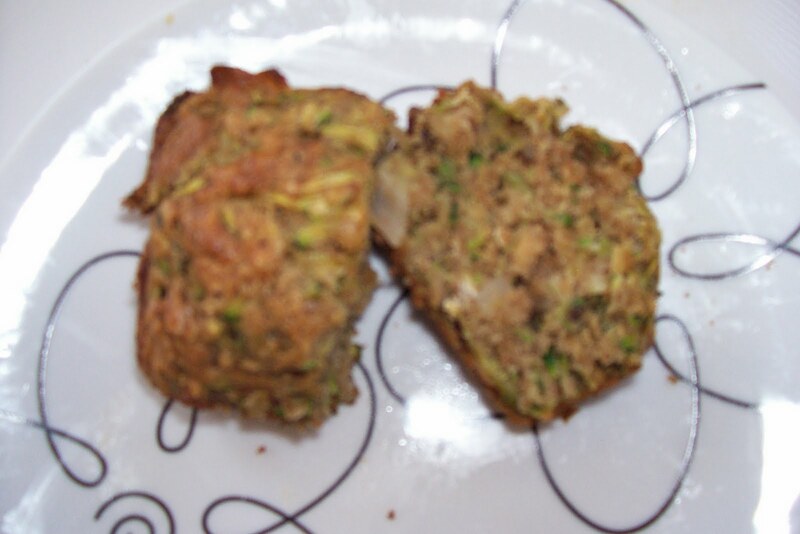 Quick breads are also versatile in that they can be baked into loaves of different sizes or muffins. They can be iced or glazed and served for desert, toasted or heated and served with sweet butter for breakfast. Or else, they make a great snack, too. They freeze well once made, although the smell of baking them in the colder months is always inviting. They make great hostess gifts when showing up at someone's house and a great to have on hand for an unexpected visitor. I know I haven't put up too many recipes, but this seems a good one to put up. It is easy (what some might call a "measure and stir" recipe) and is a great way to use local or home grown vegetables. And anyone who grows zucchini is always looking for something to do with it! Preheat oven to 350 degrees. Grease a loaf pan or other pans to use. Mix all dry ingredients in a large bowl. In a separate bowl whisk oil, eggs, and vanilla. Pour liquid into dry ingredients. Stir together. It will be stiff. Add zucchini. Fold grated zucchini into batter. It will be thick. Fill loaf pans or muffin tins half way. Bake for 25 minutes (for smaller pans) and check for doneness with tooth pick. If using a larger loaf pan bake for 40-50 minutes. This recipe is one I love because of the simplicity of the ingredients. I can use local flour and oatmeal, local and organic eggs, and lots of local or organic ingredients. It is sweet, but not too sweet. It isn't dry (even though I use less oil than the original recipe called for). And with a lot of cinnamon and ginger has a nice flavor, too. Yummy! Local food expert and community food builder, Jennifer Hall, invited me to join her and some friends for a "girls' night" at Hill's Restaurant (www.hillsrestaurantandlounge.com) last night. They were hosting one of their Brewer's Dinners featuring Oskar Blues Brewing from Colorado (www.oskarblues.com). 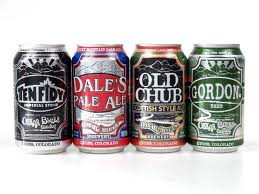 And, having lived myself in Colorado for two years, I know first hand how seriously they take their hand crafted beers. Last night was no exception. It was a five course meal of good food, well-sourced, local, responsible, and I am guessing mostly sustainable, too. They are doing some interesting things at Hill's when it comes to sourcing, including growing some of their own. Included were an elk prosciutto which was surprisingly good, and excellent steak with a huckleberry demi-glace and a chocolate brownie that was not too sweet and nicely paired with the Ten-Fidy Stout. There was too much food in just about every course and I did feel bad about the waste. We all took some leftover home, but some was not as feasible as others. We had a great time and even talked some about some local food events coming up, but mostly this was an occasion to bring people together around good food and good beer. And some of that beer was pretty extraordinary and the chef clearly thought about how the beer paired with the food. 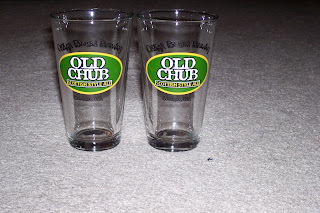 The local rep for the brewery made periodic announcements about the beer (cited all the kinds of hops and malts used, for example), offered to take some questions, and raffled off some goodies (see my new pint glasses for example!). 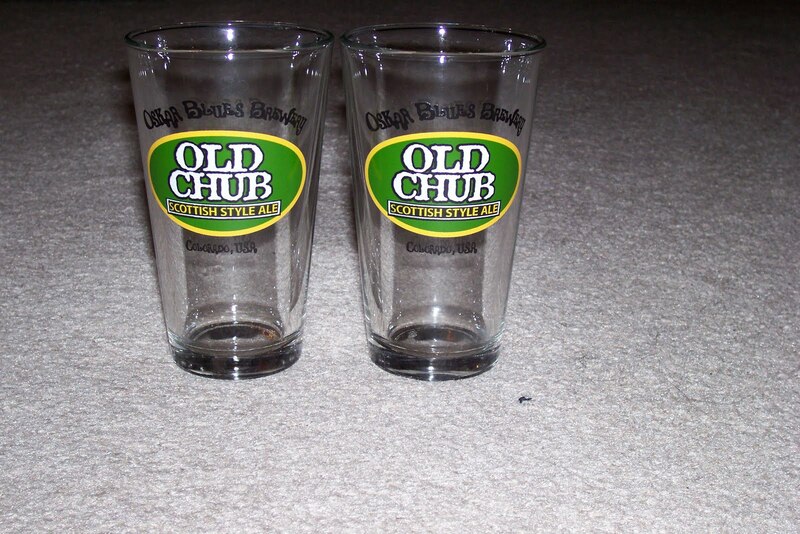 I was somewhat surprised at the high alcohol content of the some of the beers and was glad that we were given small glasses of the beer with each course. That was more beer than I have had in a while. These kinds of events are a great way to try new things and learn about food. More and more of them are popping up all around the country. Often they have an educational component about the beer or wine and sometimes about another ingredient. And now there are even such events that have an educational component about sourcing or sustainability of ingredients. It is a great way to learn and to patronize more than likely a locally owned and run establishment in your community and one that wants to do the right thing by that community, its patrons and their producers. Last night's meal and the company encouraged some lingering, the way a good meal and good company should, two and half hours after we started, we were ready to head out. It was a fun evening making new friends and sharing a love of good food, prepared well, paired well. Thanks again, Jennifer! I had a great time! The orchardist who sells me my nectarines at the farmers market calls these "big uglies." They are HUGE nectarines--about the size of a softball and I love them. They are sweet and tangy at the same time and really juicy. I love their bright, sweet flavor and the way their silky juice runs down my throat and often down my chin. I usually eat them standing over the sink in the kitchen. I had been waiting, somewhat impatiently for their first arrival. Last weekend when he told me that cherries might only last another week or so, I new that nectarines would soon be gracing my table. 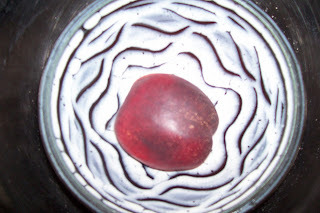 I will miss the cherries (which I also love), but as the stone fruit comes in, my thoughts turn to fall. And with my thoughts turned to fall, I start thinking about putting up some of the summer's bounty. With that said, I will admit, I do not can. I am a little intimidated by the thought of it. I am sure that someday, and likely sooner rather than later, I will be prompted into a canning class and overcome the fear of botulism. Well, maybe not of botulism, but more of giving myself and others botulism from a canning mistake. So I freeze and dry. From the strawberries I picked at Greenbluff I chopped and froze about half them. I still even have some tomato sauce from last summer, although the last of the dried tomatoes were used in a pasta salad a few weeks ago. There are some chopped carrots and celery ready for soup in the freezer, too. And some green beans and peas, some spinach, and grated zucchini. My freezer is balanced somewhat precariously, but it does the trick. I also dry food. A couple of years ago when I started to get into ethics and food my sister bought me a food dehydrator off my amazon wish list for my birthday. Now, February might not be the best time to start learning how to dry food, but in some respects, it is the best time--no pressure just yet. 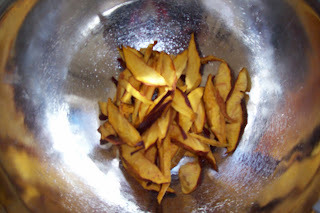 Last fall I dried apples and still have some in a giant, airtight, plastic container in my pantry area, ready to add to quick bread or muffins, and great just as a snack--healthy, local and full of fiber! As Barbara Kingsolver, in her charming book, Animal Vegetable Miracle said, what is preserved in the time of bounty is still local in February when nothing is growing (at least in most parts of the US). So I am drying nectarines. "Drying nectarines?" you say. Yes, drying nectarines. 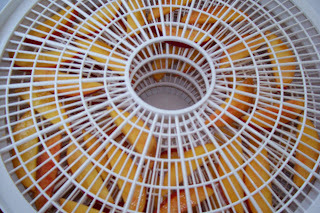 Sliced when juicy, skin still on, and drying in the food dehydrator. They are sweet and tart all at the same time as dried and just wonderful. My biggest problem is not eating them just after they are dried, but saving them for the long winter days when they can really be appreciated. I buy so many when they are ripe that drying them is the best way to deal with them. 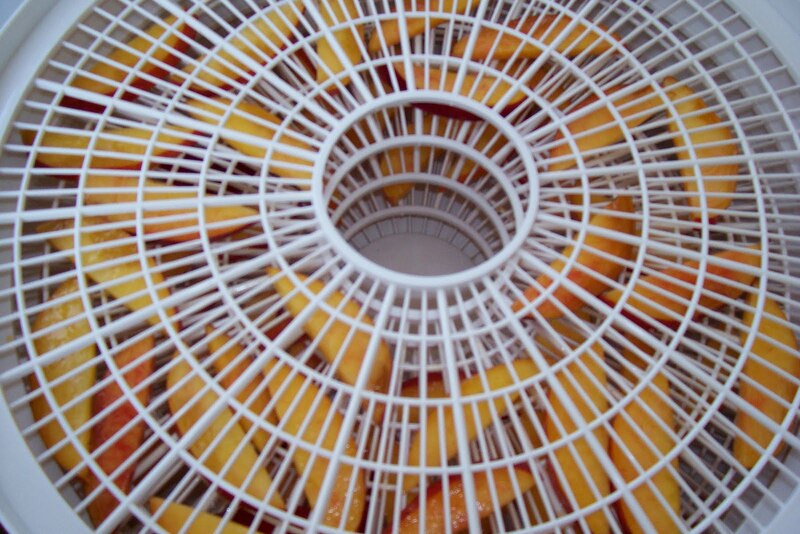 I admit I get overzealous at the farmers market stall--and that is what prompted me to try drying nectarines. I had many more than could be comfortably eaten before time got to them last year. And I am always considering what else might dry well and make for more local food in the off-season. I keep them, and some dried apple in my desk for a quick pick me up during the academic year when grading papers gets tiresome or when I am rushing to class and need something to tide me over. There are no preservatives (save a little lemon juice on the apples) unlike a lot of dried fruit at the grocery store, no oils, no wax, no colors and no added sugar either. It is just fruit minus the liquid! My pantry might look to some like I am a hoarder--lots of bulk containers. But if hoarding local food for the off season makes me pathological, then take me away. Gives a whole new meaning to "the funny farm" as I am laughing all the way there knowing better what I eat all year round. I was thinking about the cost of fair trade chocolate, likely because I was at Roast House Coffee thinking about fair trade coffee this morning. Is fair trade chocolate really much more expensive than conventional chocolate? 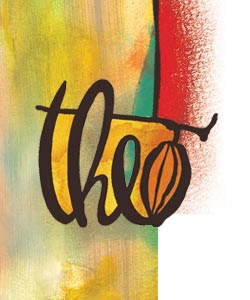 A Theo bar (3 ounces) at the Main Market Co-op is around $4.00, but has two servings. So, if you can control yourself and just eat half the bar (one serving) that's $2.00. And that is maybe 3 times the cost of a "regular" candy bar. But a "regular" candy bar usually is made up of a lot of other stuff than just chocolate--a lot of stuff that costs a lot less than chocolate. And what of a "fancier" chocolate bar? A Godiva chocolate bar, if bought in bulk, is $2.91 per ounce and a half, that's almost $6.00 for the same weight of chocolate of the Theo bar. Maybe it isn't so expensive to do the right thing after all. This morning I visited a local coffee roaster, Deborah Di Bernardo, at Roast House Coffee. They are doing some really great things there with coffee. Beyond fair trade, Roast House is developing what is now being called "relationship coffee." The idea is that fair trade is great, but if you can get to know those who are growing the coffee, guarantee them a place to sell it season after season, help them figure out how to grow coffee in the best way for them, for the environment, for the market and for taste, even better. Over half a cup of a new blend and a cup of their Guatemalan blend, we talked ethics and coffee and food. We talked sustainability, making small different choices that lead to big differences, and the best ways to educate gently about the choices we all make. We even talked a little philosophy as Deborah told me how she thinks of things and my response was--that's Aristotle! And we talked like only two Italian American women from northeast cities can talk -- a hand gesture here a polite interruption there that leads to the fullness of conversation. Deborah told me that some of the people they buy from used to grow their crops, come down from the mountains to the streets and hope someone came by to buy from them. That's just not sustainable--people have to be able to make a living. Growing coffee is hard work, it's hot work, too. Relationship coffee takes some of the risk out of the endeavor for the grower and that is a good way to support the value of the work. These are people growing this coffee and they are trying to eek out an existence on it. 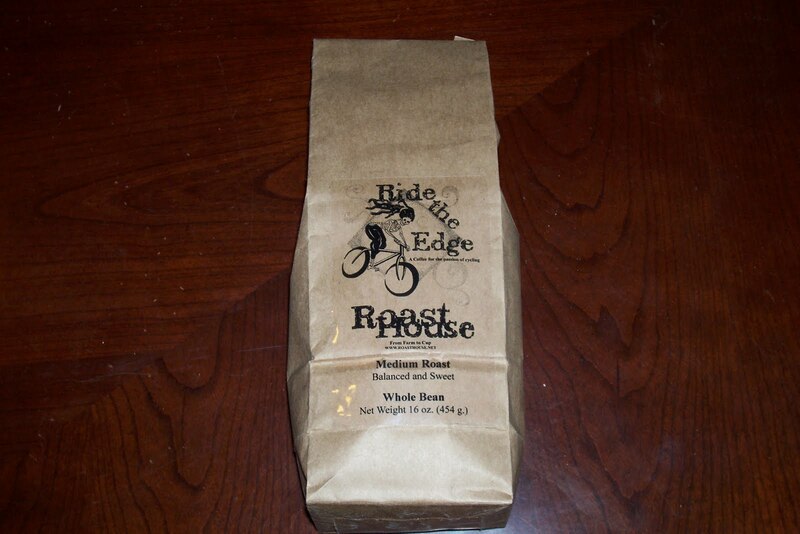 The coffee from Roast House is the private label coffee for places like the Main Market Co-op and other local restaurants and shops. It's organic, meets standards that are higher than fair trade, and shade grown. This coffee is what I call "trifecta" coffee. "Shade grown" is just starting to get into people's coffee vocabulary. A lot of places where coffee is grown were clear cut to put in the coffee trees, but that is completely unnecessary and reduces the habitat for birds and other creatures that make for a balanced eco-system. It also means the workers spend more time in the blistering sun. So the concern over shade grown is one of the environment, one of animal welfare, and one of working conditions as well. And as a student wrote in an essay on her final exam, we should look for fair trade organic coffee, and if you want to be a "super star" shade grown, too. I guess that makes Roast House a super star! 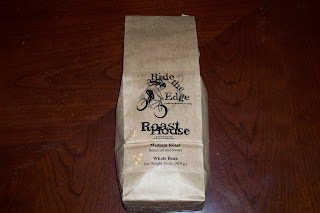 If you want to learn more about Roast House you can find them at www.roasthouse.net. Ah, summer. I've heard the ice cream truck's chimes through the neighborhood more than once already, but honestly, what passes for an ice cream treat from your average ice cream truck is likely more artificial coloring, flavoring and high fructose corn syrup than I want to have anything to do with. And as we get into these warm, humid (well, humid by Spokane's standards), dog days of summer, thoughts do, naturally turn to ice cream. As a kid in New England, in Boston no less, I was proud of the fact that Bostonians eat more ice cream per capita than any other Americans. There were lots of Mom and Pop ice cream shops--I remember one Sunday feature in the Boston Globe covering lots of ice cream shops on the North Shore. Two friends and I decided to hit as many of them in one night as we could. We ate too much ice cream that night, but spent a lot of time driving around the coastal towns with the windows down and the radio on. Lots of time standing in line outside to walk up to the ordering window and sitting on slightly sticky picnic table benches. I lament the fact that it seems, likely because Bostonians eat so much more ice cream than others, that there are far fewer such shops in other places I have lived. Only one ice cream shop within walking distance of campus in Gainesville, FL. Florida, I mean, shouldn't there be ice cream shops everywhere in the state of eternal summer? I remember taking walks down to the beach at home to get an ice cream cone and to walk along the water's edge. Or going with my Grandfather on his rounds to the ice cream shops and bakeries who were his customers (he was a bakery supply salesman when there were such salesmen to make calls on small businesses) or in the evenings after a long day at the beach to just patronize his customers. I remember distinctly the orange pineapple ice cream at The Vanilla Bean ice cream shop in Narragansett, RI. It was a flavor they were "trying out"--I don't think it made the final cut. And that flavor inspired tonight's ice cream making and the flavor made. No pineapple this time around -- hard to get that local in the Inland Northwest. But an orange flavored custard base to make a beautiful ice cream that is delightfully flavorful for use ice cream sundaes tomorrow. A friend is coming over for chick flicks and ice cream. Yummy! 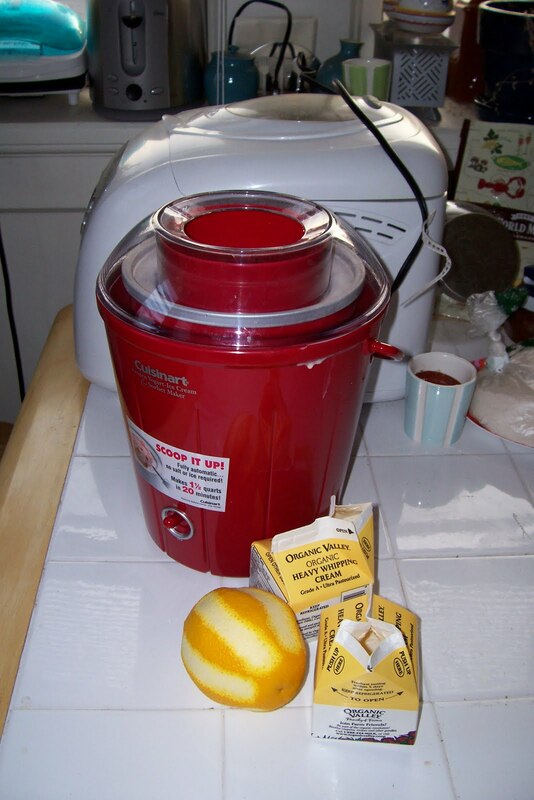 A couple of years ago, on a complete lark, I bought an ice cream machine--thankfully not the old fashioned kind which needs a lot of ice, rock salt and elbow grease. It was on sale, a good reliable brand and fully automatic. 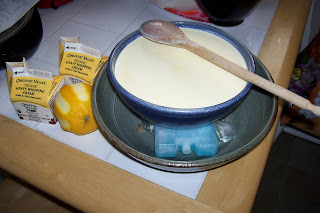 I have to admit I only use it a few times a year, but there is something lovely about cooling hot custard knowing that it will become a frozen treat. There is also something good about knowing exactly what goes into that ice cream--no weird colors, flavors, gums or thickeners. Just sugar, cream, egg yolks, a little salt, milk and whatever flavors suit one at the time. I am able to use organic cream and milk, organic sugar, local organic free range eggs and organic or local flavorings when I make ice cream at home. And there is something very special about homemade ice cream. It is somehow creamier, sweeter, and more refreshing. In a medium sauce pan over NO heat whisk the egg yolks, sugar and salt. Stir in milk slowly. Over medium heat, stirring constantly, make the custard. Stir for about 15 minutes until the custard begins to thicken and coats the back of a wooden spoon. Take off heat. Pass mixture through a fine sieve. (This is necessary to avoid having bits of cooked egg ending up in the final product.) Chill in a bowl, placed in a bowl of ice. 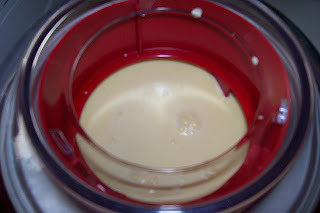 Stir in cream. Put in ice cream maker according to machine directions. Makes 1.5 quarts (which is a standard amount for many of the home-use ice cream machines available on the market). 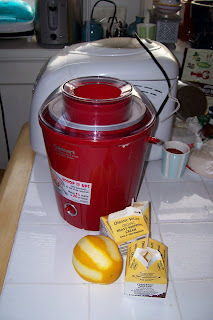 To make the orange flavored ice cream I made tonight, before putting the mixture through the sieve, add strips of orange zest (careful to avoid the pith, I used a very sharp vegetable peeler to take off just the orange part of one orange in 7 strips). Let sit for 30 minutes to infuse. I also added about 1/8 of a teaspoon of orange oil to pump up the orange flavor. Discard the orange zest when sieving the mixture. Anything that could be steeped the way an orange peel is can be made this way. That works for vanilla beans for good old fashioned french vanilla, for example. Things like fruit or cookie bits should be added when the machine is doing its work. So can anything that might not need to be strained out -- like cinnamon. My Mom's favorite is surely peach bits in homemade ice cream. She still remembers making it somewhere, maybe my grandparents' house one summer. I don't have that memory, though. The possibilities are almost endless. Make a batch that combines two favorite flavors, or a flavor from childhood that is no longer available, and with each creamy spoonful or each luscious lick, the memories will flood back making something as simple as ice cream a sort of time machine to a time when things were simple and fun. 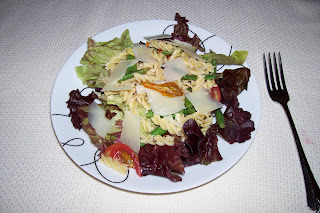 I had to do some investigation to determine where the expression "salad days" came from. I had invented a little story myself, but it turns out that, of course, much to, I am sure, the chagrin of my friends who teach literature, I did not know it came from Shakespeare. The expression, intends to refer, as you might know, to youth and inexperience. I guess that the idea is that salad greens are from the early part of spring, before heartier vegetables mature. And so it goes with eating seasonally--lettuce and other tender greens are from the early parts of the season and so welcome when they arrive. Time to finish off the winter squash, onions and potatoes held over the winter. Time to be thankful that what was canned lasted as long as it did. Time to be thankful that fresh rather than canned is now in season. But even that time comes and goes. Last week, when standing in a garden with one of my students, looking down at some lettuce, I mentioned, I thought casually, that soon lettuce season would be over--lettuce grows better when it is cooler and it is now warmer. What would she do? --asked the student. She likes her lettuce. But even lettuce has a season. It is available year-round and even some local lettuce grown hydroponically, or planted for a hopeful early fall harvest. I even grow some in my window sill through the summer and early fall. I told her all these things. But there was still a little bit of the distraught in her expression. Even so, I have to say, I am not all that disappointed that lettuce season is winding up here. 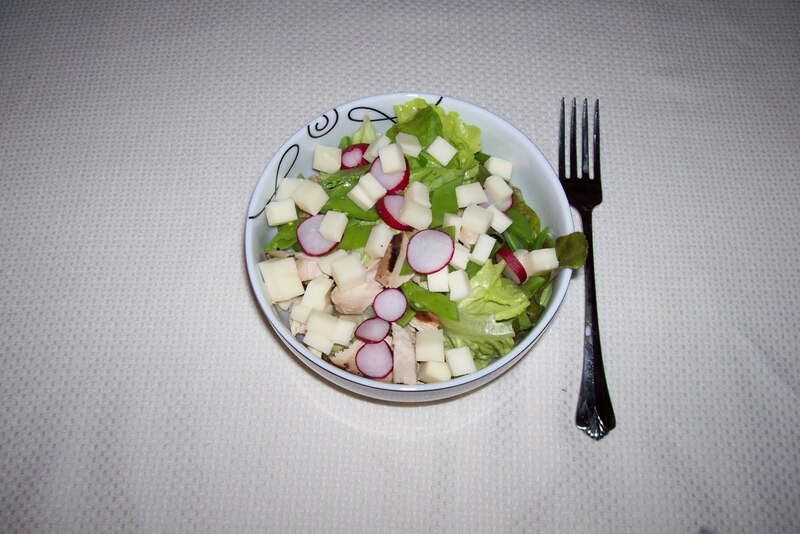 I may no longer be in my own salad days, but I have been getting into a salad daze. 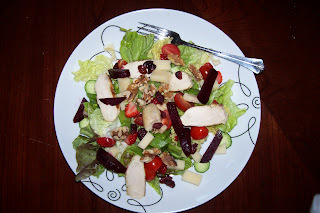 Even with newly arriving crops to change up my salads, lettuce based salads everyday, sometimes twice a day get tiring for me. I want something else. And I am lucky that nature provides that--veggies come and veggies go all throughout the season. we're getting into the thick of things here in the northwest--summer squashes, tomatoes, early potatoes, green beans, beets, onions. There was less lettuce for sale yesterday at the farmers market, and I am glad I picked up an extra head last weekend (stored properly, yes, it does last that long). I came away yesterday with some late peas, some green beans--young and tender, almost as thin and bright as the french haricot verts you are sometimes lucky enough to see, some heirloom cherry tomatoes in various shapes, sizes and colors, pickling cucumbers, cherries (also soon to be gone), apricots and peaches. Salads are looking a little different at my house, now. 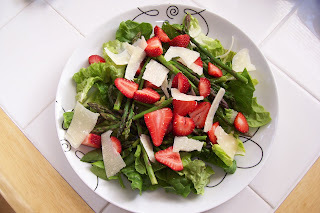 Because eating locally, seasonally and organically is important to me and easier to do in the summer. So as the salad days of the year, or at least the lettuce based salad days taper off, I am reminded of the greenness of my own youth when I didn't care too much about what I ate, where it came from, who was responsible for it, or what it did to the earth, I am thankful I no longer think that way and have the opportunity to help others overcome that folly earlier in their own lives than in mine.